You can also order separately the used, high-quality special pump in the Lucky-Kitty cat drinking fountain. 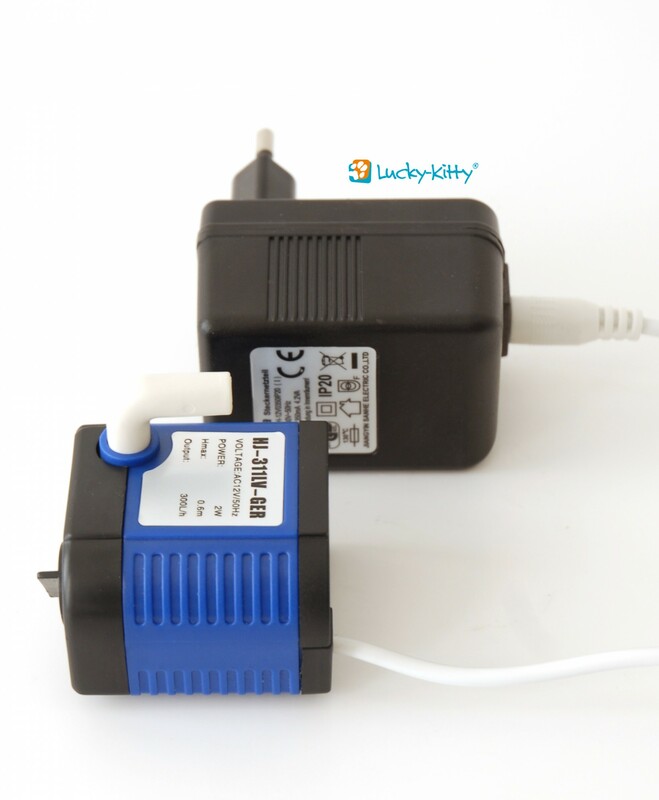 Of course, the Lucky-Kitty replacement pump can be used with other cat drinking fountains or indoor fountains too, which are not equipped with such high-quality pumps; a second pump is useful while the other pump is e.g. in process of cleaning or decalcification - then there will be no waiting period for the fur-bearing animals. The pump is especially safe due to the used low-voltage technique (only 12 volts). The power of the pump is only amounting to 2 watts. The pump will be supplied including silicone tube (free of plasticisers), power supply, elbow fitting and cleaning manual. We would be pleased, if you could read the last mentioned before the set-up, so that you could enjoy your pump for a long time and it will always run nearly low noise. 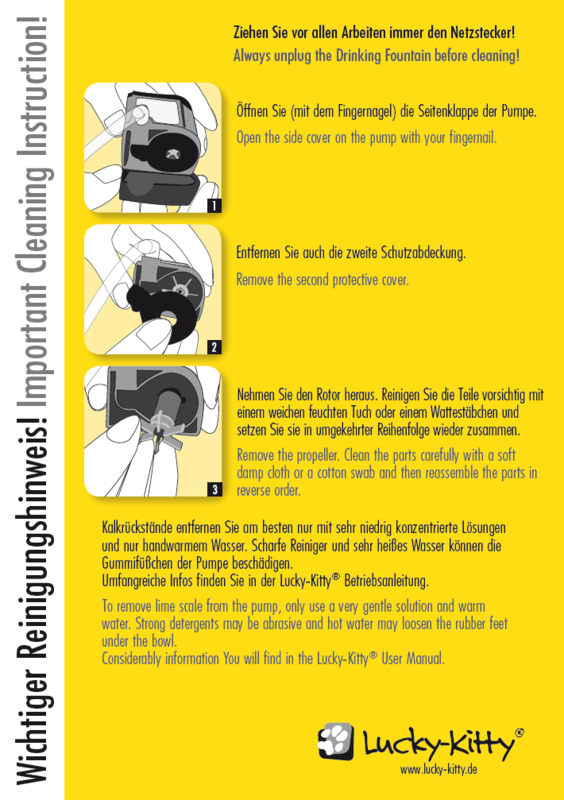 You can download the cleaning manual (see picture above) once again here.